April 25th is National Telephone Day! Because of this, now is a great time to think about the telephone, a truly amazing technology that has shaped civilization through its fascinating evolution. When the first phone was invented, many people thought it was unnecessary because the telegraph was already able to send a message to someone. Now, of course, we all carry smartphones in our pockets. While messaging (similar to the telegraph) is once again an important component of communication, there’s no denying the power and importance of voice when it comes to communication. Let’s walk through the telephone’s history, starting nearly 150 years ago. Paste this Image on Your Site! In 1876, Alexander Graham Bell created a short-range telephone and patented the invention. This milestone is often cited as the genesis of the telephone’s early beginnings, though crediting the telephone’s true inventor is somewhat complicated because many inventors were working on similar devices at the same time. Just two years later in 1878, the first commercial telephone exchange in North America opened in New Haven, CT, indicating the growth of telephone service. The first transcontinental telephone call was placed between San Francisco and New York City in 1915. A few years later in 1919, rotary phones were introduced into the Bell system. Prior to that, you’d ask the operator to connect you. Then in 1927, the device design got an upgrade; a telephone handset was developed that combined talking and listening components. In 1935, the first telephone call was routed around the world by wire and radio. More than a decade later, in 1947, the telephone numbers system was developed for North America. In 1961, direct long-distance calls became available nationwide. This meant that an operator was no longer needed to call long distance. Then in 1963, the first push-button telephone was designed with Touch-Tone dialing. Two years later, phone design got even more streamlined with the Trimline. In 1968, the first 911 call was made. During the 1970s, party lines began to be phased out for single lines per household. During the 1980s, cordless phones freed callers from being connected to the wall. In 1984, the first commercially available mobile phone became available. It cost $4,000, weighed 1.75 pounds and had 30 minutes of talk time. Answering machines were the next big innovation, and in 1991, two out of five homes had them. They cost between $50 and $250, just for the answering machine! Also in 1991, call waiting began to gain popularity. Before that, you got a busy signal. By 1993, Caller ID was available in 37 states and parts of New York City. Public pay phones peaked at 2.6 million during the mid-1990s when cell phones began to gain traction. In 1995, the U.S. had 33.8 million cell phone subscribers, and text messaging was possible by hitting each number multiple times to get the right letter, a method called T9. Cell phones continued to get smaller and lighter, and in 1996, flip phones like the Motorola StarTAC were popular. In the year 2000, there were 109.5 million cellular phone subscribers. Also that year, cell phone design began to merge with PDAs in the Handspring VisorPhone. In 2004, BlackBerry added full web browsing capabilities to its functionality. In 2013, smartphones overtook “dumb” phones worldwide. As more people carried cell phones, pay phones were no longer necessary. In 2014, fewer than 300,000 pay phones remained, and creative repurposing projects have converted phone booths into tiny art galleries, information booths and Wi-Fi routers. In 2017, 95% of Americans owned a mobile phone. 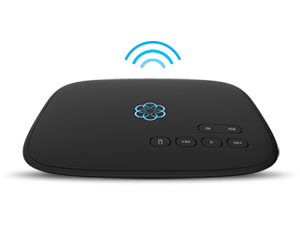 Ooma Telo is more than just a phone. It’s a home’s central hub that offers advanced functionality in addition to saving you money on home phone bills. 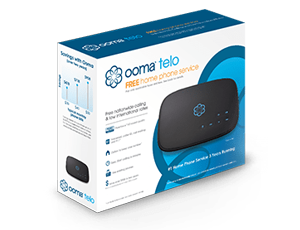 Use the Ooma Telo to maintain privacy with encrypted calls; transmit crystal-clear calls with HD Voice technology; stay connected to your home phone no matter where you are with the free mobile app; make international calls for pennies; connect to your smart-home devices like Nest, Amazon Echo and more; enable advanced call blocking to combat the growth in telemarketing; and integrate with its smart-home monitoring security system. Jim Gustke is a marketing and Internet veteran with a wealth of experience at the intersection of consumer and technology marketing. As Vice President of Marketing for Intuit, he helped lead the reinvention of Quicken and launch the first SaaS version of the popular personal finance software. Prior to Intuit, Mr. Gustke was responsible for business unit management, global branding and product marketing at Lexar Media, helping grow the flash memory company to over $850 million before its acquisition by Micron Technology. He also served as the founding Vice President of Marketing for Ofoto, an online photography service, acquired by Eastman Kodak in 2001. A pioneer in Internet marketing, he joined America Online in 1996 as the marketing leader for GNN, the company’s first Internet Service Provider, and in 1995 as a marketing manager at Polaroid Corporation he led the team that launched the company’s first corporate web site. Copyright © 2016 Ooma, Inc. All Rights Reserved. A revolutionary smart phone for your home, that frees you from expensive home phone bills forever. Place your Telo anywhere and connect to the Internet wirelessly using your WiFi network.